Greetings from Seattle! 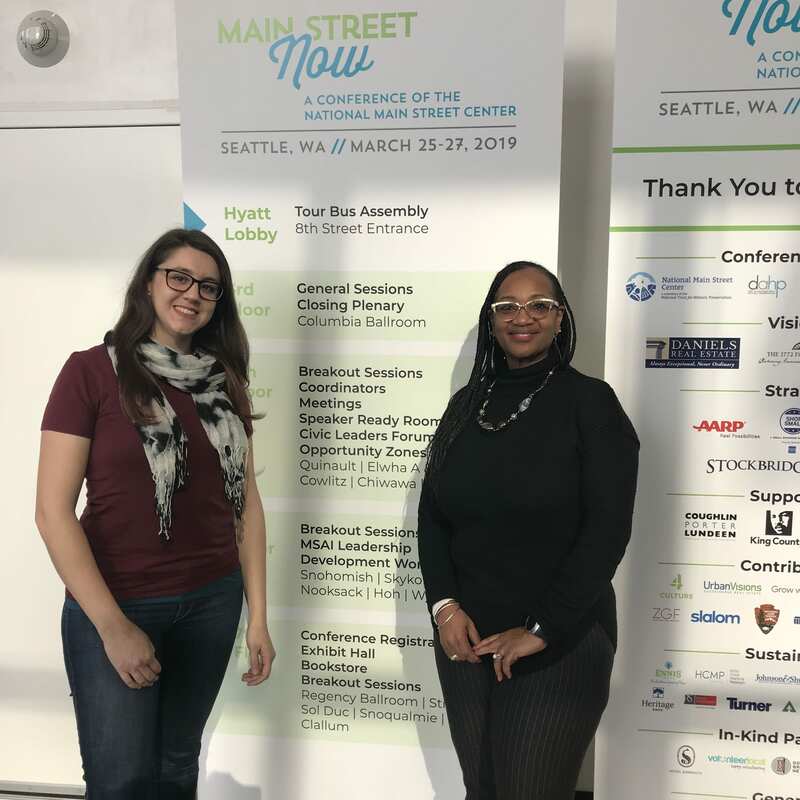 Amanda and Alicia are in the Pacific Northwest this week for the annual Main Street Now Conference, soaking up the very latest in implementable best practices, time-tested solutions, and innovative ideas for creating economic and social prosperity in our downtown communities…and spreading the good word about Richmond, CA (like the incredible turnout for, and dialogue from, last week’s Annual Stakeholder Meeting). Also this week we will be bidding farewell to Florene ‘Flo’ Wiley. Flo joined our team in late 2017, bringing invaluable insight, fresh ideas, and a keen eye for financials. Flo’s departure is bittersweet as we will miss her warmth and wealth of knowledge (especially about art and East Bay history! ), but we are so happy to wish her all the best as she embraces her dream job in podcast production. Please join us in thanking and appreciating Flo for all the contributions she has made to Richmond Main Street! And if you are interested in joining our team, please check out the Administrative Coordinator position.